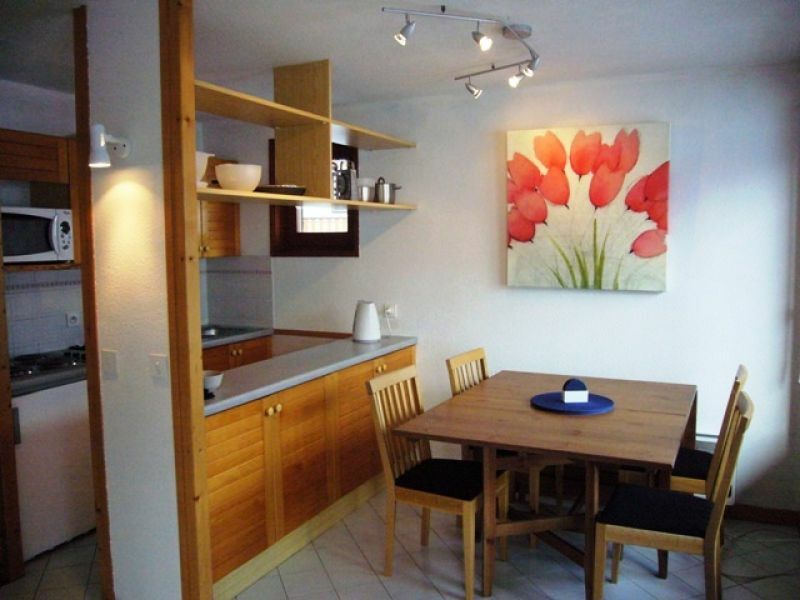 Chalet TARMit is a self catered ground floor duplex apartment, comfortably sleeps 6 people (no sofa-beds). is situated in a quiet part of the village, yet still only a few minutes walk from center and shops. The nearest ski slope is within 100m almost allowing you to ski back to the door. The property enjoys a sunny disposition and has a private balcony that offers unrestricted and breathtaking views of the mountains and the Prodain Valley. It is ideally positioned for skiing or biking and walking during the summer months. Very light, spacious and spread over 2-3 floors. Freshly decorated in a tasteful style with fitted kitchen and wooden furniture, giving the apartment a cosy and welcoming feel. Layout consists of an entrance hall with w/c, double bedroom & bathroom. A door leads to a kitchen, dining area with balcony, lounge with Sat TV/DVD & balcony. Stairs lead to a Mezzanine with bunks & privacy curtain, twin bedroom, shower room, stairs to storage area. There is parking at the chalet and secure storage for skis, boots and all winter equipment.